I recently purchased number17's new mascara peep show in an attempt for longer, fuller and let’s face it better looking lashes. I often find myself feeling disappointed with mascara, it never seems to live up to its claims. Initial thoughts: after the first use I have to say I was impressed, my lashes where significantly longer. There wasn't much difference in volume but the extra length was impressive. 17 claim this is due to lash lengthening fibres, and honestly why have I not used these fibres before because they work! The results? Just look for yourself. 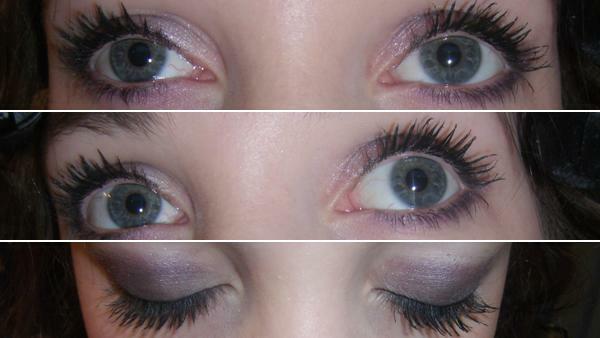 Usually my lashes are short, thin and close to invisible so this mascara definitely does what it says on the tube! The only negative I can find is that the more I seem to use it the more clumpy it seems to become, however this just takes a little bit more time to comb the product through the lashes and hey presto luscious lashes! Coming in at only £5 at the moment (I believe it is on offer) I can't fault this products value for money. You really should give it a go Kathryn its genuinely so good. & Thank you Josie! =] its the packaging that pulled me towards it. so vintage looking. After trying my peep show this morning for the first time, I have to agree with its lash lengthening properties! And it's a lot less gloopy than other mascaras I have tried!